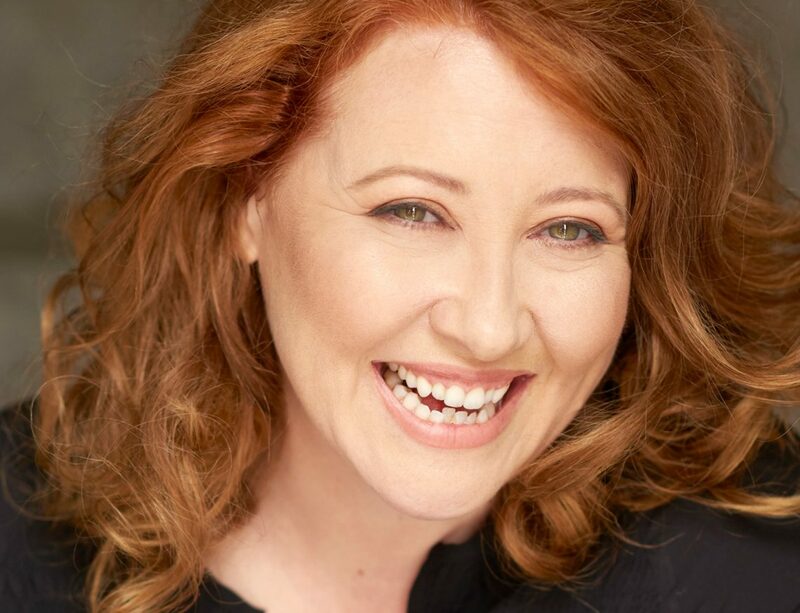 Award-winning actress, screenwriter, director and playwright, Sally McLean began her work in the entertainment biz as an actor in her mid-teens and has since performed leading roles in numerous Australian and UK film, theatre and television productions. A graduate of The Actors Institute UK, with additional ongoing training at Howard Fine Acting Studio, Sally’s notable screen acting credits include “Angie Powers” in the BBC’s BAFTA Award-winning Bootleg, “Stacy” in the AACTA Award-winning Utopia and “Miss Giddens” in the AACTA Award nominated The Worst Year of My Life – Again! Sally is also the Creator/Director and lead ensemble member of the multi award-winning web series Shakespeare Republic (winner of the 60th CINE Golden Eagle Award for Best Digital Series, USA) & Shakespeare short film Speaking Daggers (Awarded “Highly Commended” Finalist by Sir Kenneth Branagh at the 2017 SBT Shakespeare Film Festival, UK and official selection for the Academy Award® accredited St Kilda Film Festival), appearing on screen in both projects alongside Nadine Garner, Michala Banas, Alan Fletcher, Scott Major, Christopher Kirby and Dean Haglund. Predominately known for working in comedy on screen, Sally is also an experienced dramatic Shakespearean actor with Musical Theatre roots, playing lead and support roles in theatre in both Australia and the UK. Highlights include lead roles in The Comedy of Errors and Romeo & Juliet with the Australian Shakespeare Company, the West End premiere of the drama Annabel’s Requiem and the professional Australian premier of the musical I Love You, You’re Perfect, Now Change. She additionally teaches Shakespeare as a member of the Howard Fine Acting Studio Faculty in Melbourne, Australia. 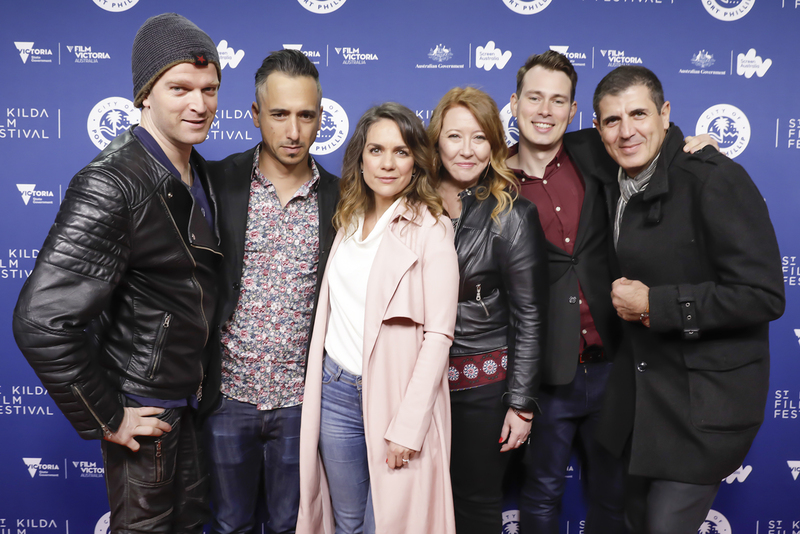 Billy Smedley, Tim McCormick, Michala Banas, Sally McLean, Shaun Herbertson and Thanassi Panagiotaras arrive for St Kilda Film Festival 2018 Opening Night on May 17, 2018 in Melbourne, Australia. Award-winning actress, screenwriter, director and playwright, Sally McLean began her work in the entertainment biz as an actor in her mid-teens and has since performed leading roles in numerous Australian and British film, theatre and television productions. A graduate of The Actors Institute, London, with additional training undertaken at the Howard Fine Studios, she has played lead, guest and support roles on numerous UK and Australian television series including Upper Middle Bogan, Utopia, Worst Year Of My Life – Again!, Party Tricks, Elephant Princess, The Flying Doctors, Bingles, The D-Generation, Totally Full Frontal,Comedy Inc., Blue Heelers and the BBC mini-series Bootleg. Sally has also played roles in over thirty UK and Australian theatre productions, her most notable being The Comedy of Errors and Romeo & Juliet with the Australian Shakespeare Company, Hamlet, the West End premiere of Annabel’s Requiem, Lovepuke, the professional Australian premier of I Love You, You’re Perfect, Now Change, The Auxilary, Chasing Pegasus (a play in ten chords), PS I Love You and the all-female Macbeth, described as ” an utterly convincing performance as the old Scottish King, belying the fact that McLean is not only young and a woman, but also Australian.” – Time Out, London. Film work includes Raymond Taylor’s Earnest Adventure In Love, A Little Rain Must Fall (UK), Evie Wants A Baby, Just Move Your Lips (UK) and Interchange, amongst others. Sally created her own boutique production business, Incognita Enterprises, under the Honorary Patronage of Oscar® nominated actor, Sir Nigel Hawthorne KB, CBE in 1997 – an association that continued until his passing in 2001. As a multi-hyphenate creative who still works both in front of and behind the camera, Sally’s most recent projects are the internationally award-winning web series Shakespeare Republic, as Creator/Director/Actor (Awarded “Best Digital Series” at the prestigious CINE Golden Eagle Awards, USA, among others), now in its second season and the award-winning short film Speaking Daggers (Awarded “Highly Commended” Finalist by Jury President, Sir Kenneth Branagh at the 2017 Shakespeare Birthplace Trust Shakespeare Film Festival, UK, “Best Short Film” at the 2017 Peak City International Film Festival, USA & “Best Short Film” at the 2018 Berlin International Cinefest, Germany). When not on stage or screen, Sally has worked in production for the Nine Network, Endemol Southern Star, Crackerjack Productions and Network Ten, as well as three years with the BBC in London (during which time she also Chaired the BBC Alternative Program Development and was Deputy Chair of the Australian Program Development Committee). She has also served numerous times as a Juror for the prestigious Australian Film Institute Awards and it’s successor, the AACTA Awards, and continues her involvement in the organization as a Professional Member (Actor). She has also been a Juror for the ATOM Awards in the categories of Best Documentary – Biography, Best Documentary – History and Best Web Series. Sally serves as a member of the Board of Trustees for the Howard Fine Acting Studio Australia, as well as on the Advisory Board of Melbourne WebFest, the first and largest web series festival in the Southern Hemisphere. In May 2018, she joined the Howard Fine Acting Studio Australia faculty as the resident Shakespeare teacher for the Full Time Acting Program at the school. Sally also supports many charities, including Suicide Awareness, Childwise, and is one of two World Smile Ambassadors for Australia (the other being Jill Perryman) for the Harvey Ball World Smile Foundation (USA), who work towards a brighter future for children around the world, in association with UNICEF and many other international children’s charities and organisations. Fellow international Ambassadors include Brooke Sheilds, Patch Adams, Brigitte Bardot, Phil Collins, Peter Farrelly, Sir Derek Jacobi, Michael York and Prince Albert of Monaco. In addition to her continuing acting work, Sally is currently in preparation for Season Three of Shakespeare Republic and new television series ‘Till The Boys Come Home (adapted from her stage play) – both projects starring Nadine Garner, Michala Banas, Alan Fletcher, Dean Haglund, Scott Major and Christopher Kirby with more cast to be announced and as writer/director/co-producer for the landmark feature documentary Champion, featuring John Landy, Ron Clarke, Sir Roger Bannister, Sir Christopher Chataway and Ralph Doubell, among others. Sally continues to work as an actor and develop various feature film and theatrical projects under the banner of her production outfit Incognita Enterprises.